A New York state of mind...in Stamford, Connecticut. Lifelong fans were left in mourning as the company announced plans to depart the home base that has for most been the corporate vision of the company their entire lives. 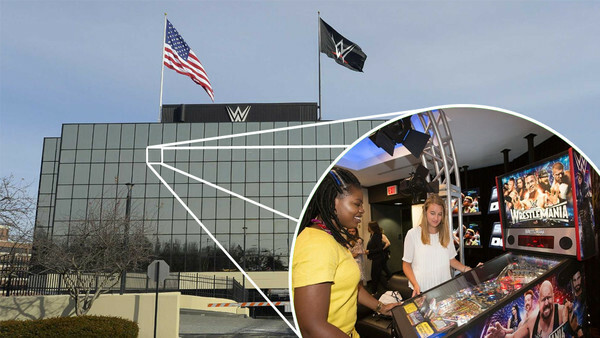 Atypically for WWE, their Stamford, Connecticut head office isn't actually that much of an attraction. And yet, there are few destinations more intriguing for wrestling fans the world over than the shimmering hub of Vince McMahon's operation. The giant structure affectionately known as Titan Towers was erected in 1991 as the company moved down the road from their understated offices at 81 Hollyhill Lane, though the mirrored office walls were in reality a reflection of the organisation's recent past rather than its impending troubled future. The 1980s success of the group defines the dated aesthetic to this day - showy and grandiose, completely incongruous with the times or the ever-changing face of the company. When the water coolers were being removed to save money during the 1990s nadir, few probably presumed such measures would ever been required. But it perhaps spoke to the bizarre and brilliant planning that went into the creation of such a facility. WWE Headquarters has in-built studio facilities, a state-of-the-art gym and all the corporate trappings a McMahon enterprise could theoretically command.